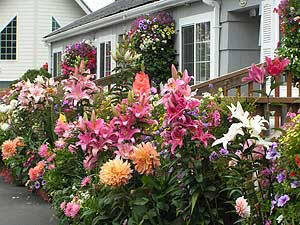 (Oregon Coast) – The fun just doesn't shop for the lodging price shopper on Oregon's coast. As winter begins its approach, more rooms are found empty, although many businesses are finding that the extended spate of good weather has kept them busy further into the "shoulder" season than usual. Still, it's a bargain hunter's paradise on the coast right now, and more lodgings have told BeachConnection.net about their specials for this month. 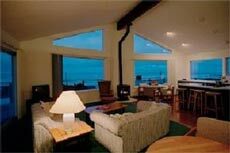 The Lodge at Gearhart's Little Beach (rental in Gearhart). Midweek special: Get the second night's stay half price. The beach cajoler has eight bedrooms, four bathrooms, and sleeps up to 26 guests. It rents for $800/night, up to 12 guests and $40 per guest per night thereafter. 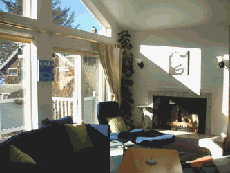 (800) 502-5588. www.lodgeatgearhart.com. Weiss' Paradise Suites & Vacation Rentals. This spate of lovely weather has been great for this paradise of flowers – it was like spring again in September and October. The property is also a famous face on the coast now: it was actually featured on the Travel Network in September. October specials begin on 10/15: rates are now starting at $89 per night plus tax for a 1BR suite, 2 adults - two nights required. Other special rates in all unit types for stays of three or more nights. Rate will depend on number of people, number of nights. Also, they will be doing the same special offers for November and December (excluding holidays). 741 S. Downing St. Seaside, Oregon. 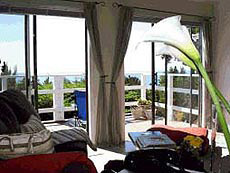 800-738-6691. www.SeasideSuites.com. Old Wheeler Hotel. October marks the beginning of the Old Wheeler Hotel's "value season". The area is still likely to have some great weather, and they celebrate reduced nightly room rates. Most rooms are now only $80 on weeknights (two rooms are only $65). All rates include a delightful continental breakfast each morning, a complimentary morning paper (The Oregonian) delivered to your door, and complimentary soft drinks and snacks any time of day in the Hotel's bright and beautiful "Common Room." There's fishing, crabbing and kayaking in the bay – just a short distance from the beach. 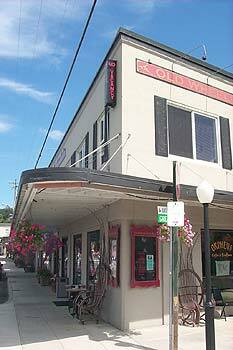 Or just snuggle up, watch one of their classic DVD movies, and gaze out at stunning views of Nehalem Bay. 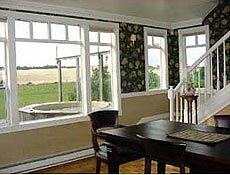 This is, after all, a place that is consistently called “one of the most romantic inns on the Oregon coast.” http://www.oldwheelerhotel.com. Hale Kaalawai. Units A & B of this vacation home, together they sleep as many as 14. No pets. $90 - $295/night. If seven nights are booked, the seventh night is free. Click here for more. Castle Cove. Vacation rental that sleeps 10. $130 - $175/night. No pets. If seven nights are booked, the seventh night is free. Click here for more. Grazelza Gunch House. Sure it’s got a kooky name, but it’s a stunner, sitting not far from the main entrance of Oceanside’s glorious beaches. Comes with numerous environment cleansing amenities (for those with allergies), as well as three TV’s, DVD players, a collection of games, dial-up Net access and luxurious surroundings. "Our Hero" Special: Your commitment to helping the rest of us may qualify you for an additional 5% off of your total, after one of the following specials has been applied. Let them know what you “do” when you make your reservation, and they will let you know if you qualify. Only one per reservation, please. Off Season Special: Book your stay for at least three nights (until June 1st) and you’ll get 10 percent off of your total. Early Bird Special: During the off-season, book your seven nights' stay for the High or Peak Seasons and they’ll honor the off-season rate. Fill-in the Blanks Specials: If a home has three (or fewer) nights available in between bookings during the High or Peak Seasons, you may book those nights at the off season rate. If you request 7 nights, but only 6 are available, we'll give you the 6th night free. Sea Sweet (various rentals in Oceanside). Three units to choose from, each with fantastic views of Three Arch Rocks. Winter rates run October – April. Unit 220 is a large unit, sleeping eight, three bedrooms, two Jacuzzi tubs, kitchen, deck and garage: $200 a night, book three nights get an extra night free. (Special through December only). Unit 222 has two bedrooms, two bath, Jacuzzi tub, full kitchen, deck: $130 a night. Book three get an extra night free (special through December only). The Blue Heron. Sleeps as many as six, located in Road’s End area. $135 - $165/night. If seven nights are booked, the seventh night is free. Click here for more. Inn at Arch Rock, Depoe Bay. Midweek specials have started: Sunday thru Thursdays, get a second night half price, or third night free. Continental breakfast included. Two rooms are pet friendly. Dramatic ocean views. The grey whales are still here but not for much longer. 70 NW Sunset Street, Depoe Bay. 541-765-2560 or 800-767-1835. www.innatarchrock.com. Starfish Point. 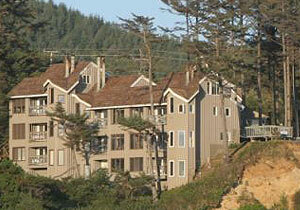 A longtime favorite for many on the coast, with its wondrous cliff top views and private beach access. Plus, it’s pet friendly. Specials: Sunday through Thursday, some units are $125 the first night, $100 each additional night, for two people. Each additional person $15 a night. Runs from Oct.16 - March 17. 140 N.W. 48th Street. Newport, Oregon. 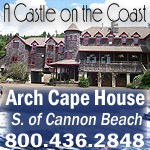 800-870-7795. www.starfishpoint.com. RiverDune House & Little RiverDune. Sprawling beauty that sleeps four to ten. No pets. $110 – 315 a night. Special offer: 7th night is free. Click here for more. 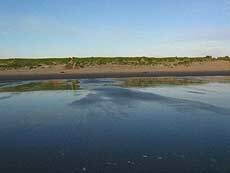 BeachcombersNW.com. 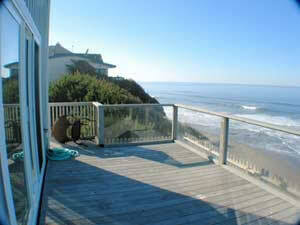 Find Vacation Rentals on the Oregon and Washington Coasts. For Your Perfect Coastal Getaway….Romantic Retreats….Families….Pet Friendly…Large Groups….Ocean Front and Ocean View…Hot Tubs. The most comprehensive website and search engine for vacation rentals on the Oregon coast and Washington coast, including rental locator map, annual events calendar, seasonal specials listings, newsletter sign up, availability request forms, quick & easy rental search results, and much more. Find vacation rentals in Astoria, Warrenton, Gearhart, Seaside, Cannon Beach, Arch Cape, Manzanita, Nehalem, Wheeler, Rockaway, Garibaldi, Oceanside, Netarts, Tillamook, Tierra Del Mar, Pacific City, Neskowin, Lincoln City, Gleneden Beach, Depoe Bay, Otter Rock, Newport, South Beach, Waldport, Yachats, Heceta Beach, Florence, Dunes City and rentals all the way down to Brookings….as well as Washington towns Moclips, Pacific Beach, Copalis, Ocean Shores, Westport, North Cove, Oysterville, Nahcotta, Ocean Park, Long Beach, Seaview and Ilwaco.